Historic British Columbia is a global destination hot spot with Granville Island and Stanley Park just a short drive away from this beautiful Vancouver hotel. 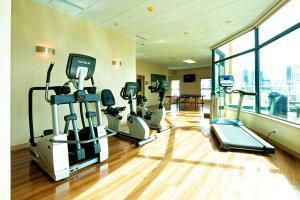 Take advantage of the convenient downtown location to start your exploration. Spend the morning strolling along Robson Street and checking out the shops. There are plenty of sporting events to attend – like the country's famous hockey games. Take in a concert, visit the aquarium or hop on one of the cruise ships and seek your adventure at Canada Place. Vancouver sightseeing provides memories for the record books. 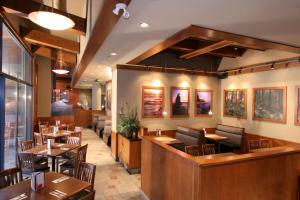 There are many downtown Vancouver hotels, but only one place where affordability and deluxe accommodations meet. Choose a Vancouver hotel that goes above and beyond the competition. Hotels in downtown Vancouver all stretch to meet the bar set by us, so why not go for the clear choice? When looking for the best Vancouver hotels, the winner is simple. Perks like complimentary shuttle service, complimentary bike rental service, and free Wi-Fi are standard here. Other hotels in Vancouver try to live up to our reputation. 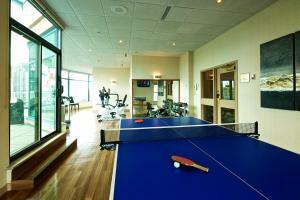 This pet-friendly home away from home features a rooftop whirlpool and fitness center, flat screen LCD TVs, iPod? docks, and the White Spot Restaurant on site. Many travelers stay here to take advantage of the proximity to medical offices, St. Paul's Hospital and city-wide conventions at Canada Place Convention Center, or for mandatory meetings, seminars, and trainings. Why not infuse some sightseeing into your business trip? When you're at this Vancouver hotel, the city is your oyster (not to mention the mouthwatering oysters at local restaurants). Reserve your room at BEST WESTERN PLUS Downtown Vancouver Hotel and start planning the trip's agenda of excitement and adventure!